Instant feedback is now mobile. polltogo is real-time interaction with an audience using their mobile device, a virtual comment box to get instant feedback from clients, a classroom response system (to create quizzes accessible with any smartphone or tablet) to gauge student understanding in class, and a fun social tool to help make decisions & poll opinions. 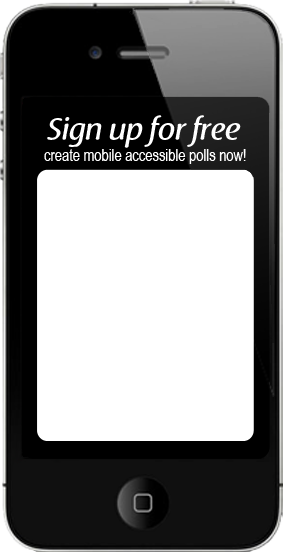 Create a free mobile poll, a poll to go! 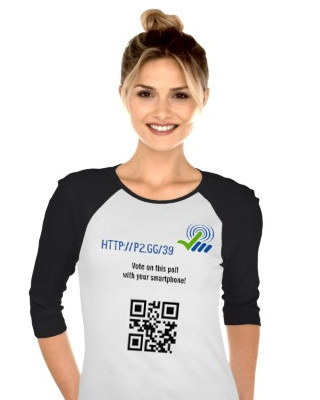 If you are looking for an audience polling solution, or an audience polling app polltogo is the most economical (pay as you go) and simplest audience response system, but also the only one that can ensure that your polls are accessible on all devices: smartphones, dumbphones, feature phones, tablets, laptops, etc. A good way to present your poll to an audience is by creating a PowerPoint presentation with all your poll's details; a PowerPoint poll. I agree to the Terms of Service agreement. Video example: How to engage your audience?